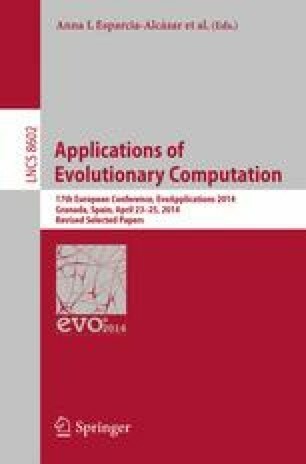 We investigate different evolutionary algorithm (EA) variants for structural optimization of energy supply systems and compare them with a deterministic optimization approach. The evolutionary algorithms enable structural optimization avoiding to use an underlying superstructure model. As result of the optimization, we are interested in multiple good alternative designs, instead of the one single best solution only. This problem has three levels: On the top level, we need to fix a structure; based on that structure, we then have to select facility sizes; finally, given the structure and equipment sizing, on the bottom level, the equipment operation has to be specified to satisfy given energy demands. In the presented optimization approach, these three levels are addressed simultaneously. We compare EAs acting on the top level (the lower levels are treated by a mixed-integer linear programming (MILP) solver) against an MILP-only-approach and are highly interested in the ability of both methods to deliver multiple different solutions and the time required for performing this task. Neither state-of-the-art EA for numerical optimization nor standard measures or visualizations are applicable to the problem. This lack of experience makes it difficult to understand why different EA variants perform as they do (e.g., for stating how different two structures are), we introduce a distance concept for structures. We therefore introduce a short code, and, based on this short code, a distance measure that is employed for a multidimensional scaling (MDS) based visualization. This is meant as first step towards a better understanding of the problem landscape. The algorithm comparison shows that deterministic optimization has advantages if we need to find the global optimum. In contrast, the presented EA variants reliably find multiple solutions very quickly if the required solution accuracy is relaxed. Furthermore, the proposed distance measure enables visualization revealing interesting problem properties.